Time is FLYING!! I graduate May 9th, get married October 3rd, and I cannot slow down the clock! I am definitely soaking up every minute of it, but still!! Too fast! Here is a quick review of March's goals! This is a resounding "NO!" I never even drove by the gym! State's gym has started a strange new policy where you have to pre-register for classes that used to just be walk-in. I don't know at 2 pm is I want to go to Zumba at 7 pm, so needless to say this didn't happen! Nope! I didn't even look at what classes they were offering this month! It is sad because I was super pumped to do this, but I never made the time! Yes!! I did do this! I actually fixed a lot of yummy things at home, so this is a success! I am crossing this one off because I accomplished two of the four. You can check them out here and here. These were the two I was excited about, and that is why I am counting this as a success!! How about no? I didn't even have one Weekend Snapshot! My weekends were kind of normal and not really exciting! This is a success but I can't tell you why yet! More to come, I promise!! So this month was a little weird because, like I said, I have a lot going on! 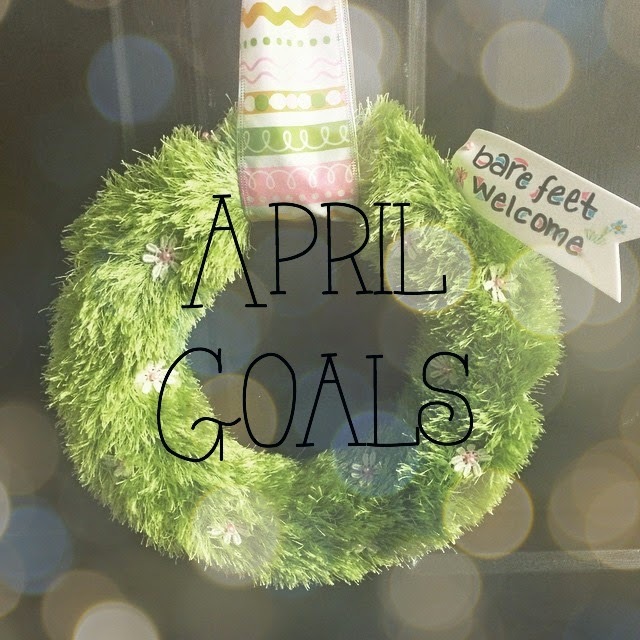 Hopefully, I will do better with my April Goals! So what are your goals this month? ?